I’m Dana and I’m here to give you some great tips to ensure your skin looks beautiful for your headshots. 1. Having well moisturized skin is crucial. Foundation tends to look heavy or even patchy on dry skin, and makes flaky skin look more noticeable. Even oily skin can be dehydrated. Every woman can benefit from using a well-formulated moisturizer at least once a day. Moisturizers with an SPF are great for daytime, with the exception of when you’re getting your photo taken. Most SPF ingredients cause “flashback” when a camera flash hits your face. That’s a pale or ashy cast due to the reflective properties of certain ingredients. If you prefer not to leave the house without protecting your skin (look at you! ), your makeup artist will be happy to remove your moisturizer upon your arrival and apply one without an SPF. 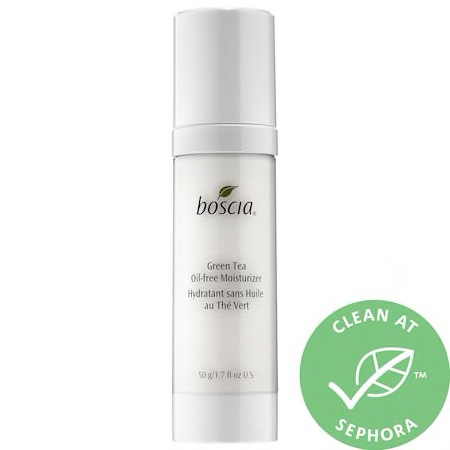 For night (or headshot day), this Boscia moisturizer is great. If you have a moisturizer you love, make sure it doesn’t have alcohol, witch hazel, or fragrance (and that includes essential oils). All of these ingredients are sensitizing and lead to long-term skin barrier damage and premature aging. 2. Foundation also looks nicer and more radiant on skin that is properly exfoliated. I don’t believe in the use of scrubs for most people. They are typically formulated to be too abrasive, and they create micro-tears in the skin. Instead, use your cleanser with a washcloth. This is gentle enough to be done every day. As with moisturizers, you will want to avoid fragrance and other irritants. Aside from using overly harsh cleansers, you will also want to avoid using bar soap (which is drying and leaves behind a residue) and using makeup wipes as your only cleanser (which basically just move dirt around on your face.) This Skinmedica cleanser is a great option for all skin types. 3. Make sure to also exfoliate and moisturize your lips! If yours are only mildly chapped, on the morning of your shoot, use a warm, wet washcloth and gently run it over your lips. Follow up with lip balm or Vaseline. If the chapping is a little more severe, an old toothbrush works as an exfoliator—just be gentle! 4. Remove any unwanted facial hair at least two days in advance. If you wax, allow even more time. Though burns are rare, I have had several clients who had burns from waxing appointments gone wrong, and unfortunately, makeup likes to slide right off of burns. Even tweezing can cause extra facial redness, so try to avoid this right before your shoot. Granted, everyone’s hair grows at different rates, but the further in advance, the better. I am happy to help clients clean up stray eyebrow hairs if need be, but it’s really best done ahead of time for those with more sensitive skin. 5. Arrive to your shoot with the proper preparation. Here are two recommendations: 1. Ideally, arrive fresh-faced. No makeup, no moisturizer, no nothin’! For those with more sensitive skin, the rubbing motion of a makeup wipe alone is enough to trigger facial redness. As for not putting any other products on your skin, it’s easiest for me to use only my products, since I know exactly what bases everything has (eg. oil, water, silicone) and can layer products without risk of them pilling. 2. Realistically, arrive however you feel comfortable. Coming directly from work and have a full face of makeup on? That’s fine! Have a moisturizer you can’t live without? Also fine! Show up how you feel comfortable. I hope these tips help you prepare for your shoot. Keep in mind that most makeup artists have “seen it all” and there is never a need to apologize for your skin, no matter what condition it’s in when you show up. Just treat it with a little TLC, and you might be surprised by how beautifully it photographs. Stay tuned for Part 2 where I’ll discuss skin care tips for men!